Fentanyl, a synthetic opioid up to 100 times more powerful than morphine, has become the deadliest drug in America’s opioid epidemic. The Partnership for a Drug-Free New Jersey provides resources and information for New Jersey families to take steps to prevent substance abuse in their home. Please follow the "read more" link to explore our 5th Grade Parent Alert. The Do No Harm symposium series provides information to doctors and health systems to help them make better decisions for patients, and to better understand the link between opioid prescription drug abuse and rising heroin abuse. The Partnership for a Drug-Free New Jersey provides free training to small and mid-sized business to assist them in creating drug-free workplace policies. The Partnership for a Drug-Free New Jersey provides opportunities for students in the third grade through high school to participate in substance abuse prevention activities and contests throughout the year. Please follow the "read more" link to explore our 4th Grade Folder Contest. The Partnership for a Drug Free New Jersey’s substance abuse prevention public service campaign is the longest running in New Jersey history. PDFNJ’s campaigns have been featured in the White House Office of National Drug-Control Policy Strategy Report to the nation. 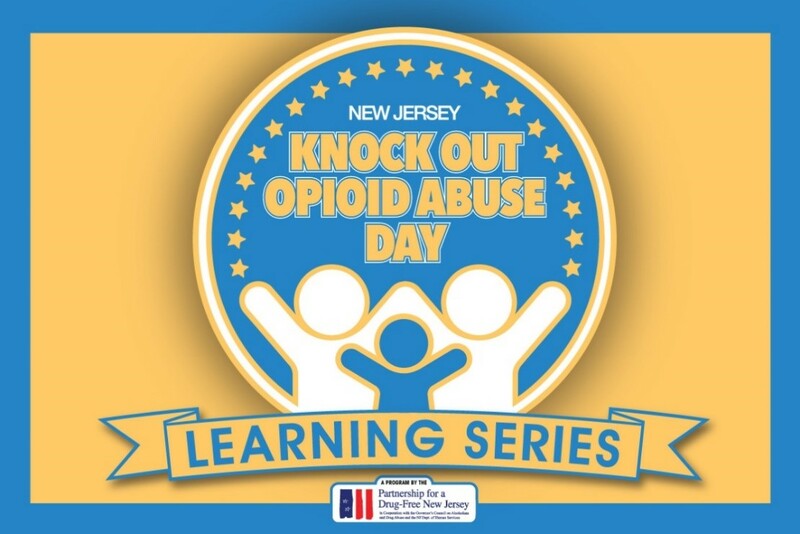 The Knock Out Opioid Abuse Town Hall series provides information to NJ residents to help them make better decisions for loved ones, and to better understand the link between opioid prescription drug abuse and rising heroin abuse. The Knock Out Opioid Abuse Town Hall examined the opioid epidemic’s effects on Robbinsville and actions to address the issue. From left, Mercer County Prosecutor Angelo Onofri, Dr. Neal Schofield, Robbinsville Mayor Dave Fried, Roy Leitstein, PDFNJ Executive Director Angelo Valente; Fred DiOrio, Dental Director of Government Programs for Horizon NJ Health; Marissa Esposito; and Reverend Edgar Shaffer. What Can Employers Do to Maintain a Safe and Drug-Free Workplace? 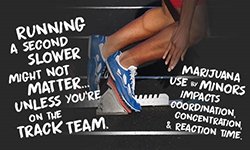 Positive test results among active employees is a cause for concern among employers. The Partnership for a Drug-Free New Jersey moderates a NJBIZ panel discusssion on a wide range of issues, including current testing policies. The Knock Out Opioid Abuse Summit, in partnership with the The Horizon Foundation for New Jersey, looks at the Federal and State responses to the Opioid Epidemic. PDFNJ's Angela Conover and the Horizon Foundation for New Jersey's Dr. Steven Peskin speak with Bert Baron about the upcoming March 27 Knock Out Opioid Abuse Summit in Newark. Join us at The Newark Museum on March 27 for the Knock Out Opioid Abuse Summit on the State and Federal Response to the Opioid Epidemic. Representatives from the state and federal governments will discuss the impact of the opioid crisis and resources available for communities to help address the epidemic. NEWARK, New Jersey (WABC) -- The driver of a school bus carrying children with special needs was revived with the narcotic overdose drug Narcan after crashing in New Jersey Wednesday, according to authorities. PDFNJ's Angelo Valente and 2017 winner of the NJ Shout Down Drugs competition, Taylor Van Cleave, spoke with Fox5's Ernie Anastos. 2019 Miss America Nia Franklin and PDFNJ Executive Director Angelo Valente, along with the 2017 New Jersey Shout Down Drugs winner Taylor Van Cleave, take a moment to pose for a photo at the Fox5 studios in NYC. PDFNJ Executive Director Angelo M. Valente spoke with reporter Leah Mishkin of NJTV about Safer Prescribing Practices for Pediatric Dentists as part of the Do No Harm series. Click the read more to watch. Watch "New Jersey Now" discussing the New Jersey opioid epidemic with PDFNJ Ex. Dir., Angelo M. Valente. More than half of the 3,100 overdose deaths in New Jersey in 2018 involved the opioid pain reliever fentanyl. Partnership for a Drug-Free New Jersey, Executive Director Angelo Valente talks with WCBS Newsradio 880 about the increase in deaths and the launch of a fentanyl media campaign to combat this issue. PDFNJ Executive Director Angelo Valente, far right, was inducted into the Advertising Hall of Fame of New Jersey on November 8 at the Highlawn Pavilion in West Orange. As executive director since PDFNJ’s inception in 1992, Valente has spearheaded a number of unique substance use prevention public service campaigns that have been spread throughout the state and the nation. Valente was joined by fellow inductees, from left, Barry Schiro, Donna Bonavita, Larry Durst and Collette Liantonio. PDFNJ Co-Chair Elaine Pozycki has been a leader in the nationwide effort to pass legislation requiring doctors and other health care providers to inform their patients about the risks of opioids before prescribing them. She joined Steppin’ Out Radio recently to discuss her son’s battle with addiction and her efforts to bring the Patient Notification Act to every state in the country. FLORHAM PARK — PDFNJ hosted a breakfast to address the legislative response to NJ’s opioid epidemic Monday morning in Florham Park. From left, Morris County Sheriff James Gannon; Bianca Madzarova, projects specialist for the office of United States Senator Cory Booker; PDFNJ Executive Director Angelo Valente; Barbara Kauffman, Director of Prevention Services at Morris County Prevention is Key; Assemblyman Anthony M. Bucco; and Assemblyman Kevin J. Rooney. Angela Conover discusses naloxone in NJ high schools. Partnership for a Drug-Free New Jersey Co-Chair Elaine Pozycki received a resolution from the New Jersey State Senate for her leadership in addressing the opioid crisis. From left, Senator Christopher “Kip” Bateman, Senator Joseph Vitale, Caroline Pozycki, Caroline Pozycki Torres, Elaine Pozycki, Harry Pozycki, PDFNJ Executive Director Angelo Valente and Senate President Stephen Sweeney. CAPE CORAL, Fla. — The Partnership for a Drug-Free New Jersey (PDFNJ) earned national acclaim for its New Jersey Shout Down Drugs high school music competition last week at the National Association of Government Communicators’ (NAGC) 2018 Blue Pencil & Gold Screen Awards. TRENTON — The New Jersey Senate will be honoring Elaine Pozycki for her leadership in addressing New Jersey’s opioid epidemic by presenting a resolution at 2 p.m. Thursday, June 21, at the Statehouse. The White House invited the Partnership and St. Francis Academy in Union City to attend a Sports and Fitness Day. PDFNJ collaborated with St. Francis Academy in Union City to select New Jersey students to accompany the Partnership at the event. An expert panel that included, from left, Barrett Young, Dr. Stuart Roe, Barbara Sprechman, Assemblywoman Verlina Reynolds-Jackson, Dr. Rachael Evans and Mercer County Prosecutor Angelo Onofri provided a comprehensive view of the opioid epidemic and its impact on Mercer County at Wednesday night’s Knock Out Opioid Abuse Town Hall, sponsored by PDFNJ and the Horizon Foundation for New Jersey. The Partnership for a Drug-Free New Jersey and the Horizon Foundation for New Jersey hosted the 19th event in the Knock Out Opioid Abuse Town Hall Series in Essex County on Tuesday. Panelists included, from left, Dr. Lewis S. Nelson, Essex County Assistant Prosecutor Michele Miller, Barbara Kauffman, Mariel Hufnagel, Nicholas Beam and Dr. Janet Philips. LITTLE EGG HARBOR TWP. — Ocean County experts addressed the ongoing opioid crisis at a Knock Out Opioid Abuse Town Hall on Thursday at Calvary Baptist Church in Little Egg Harbor. From left, Michael Capko, Pastor Mike Dellaperute, Liza DeJesus, Dr. Muhammad Abbas and Ocean County Prosecutor Joseph Coronato. MAYS LANDING — More than 75 small business owners, employers and other New Jersey residents received an in-depth look into the issues affecting the establishment and maintenance of drug-free workplaces at the Partnership for a Drug-Free New Jersey’s annual Legal Issues of a Drug-Free Workplace Statewide Seminar on Wednesday morning. Hunterdon County experts led a discussion on the opioid epidemic and its impact on Hunterdon County at a Knock Out Opioid Abuse Town Hall organized by the Partnership for a Drug-Free New Jersey and the Horizon Foundation for New Jersey. From left, 1450 WCTC AM radio host Bert Baron, Hunterdon County Executive Assistant Prosecutor Michael Sweeney, Christine Cochrane of Hunterdon Medical Center, State Senator Christopher “Kip” Bateman, Lesley Gabel of Prevention Resources, Karen Widico of Prevention Resources and Frank Lovell III from Freedom House. POINT PLEASANT BEACH — More than 4,000 fourth grade students from across New Jersey drew their idea of a fun time as part of the Partnership for a Drug-Free New Jersey’s Design a Fourth Grade Folder contest this year, but just two will have their designs appear on the folder distributed annually to thousands of fourth graders throughout the state. PDFNJ and the Horizon Foundation for New Jersey held a Knock Out Opioid Abuse Town Hall in Passaic County on Thursday at the Hawthorne Gospel Church. The expert panel of speakers featured, from left, Alton Robinson, Tim Stanley, Dr. William Kernan, Dr. Steve Aydin, Dr. Adelaide Viguri and Passaic County Prosecutor Camelia M. Valdes. JERSEY CITY — A group of Hudson County and national experts on the opioid epidemic provided a comprehensive view of the deadly epidemic for an audience of hundreds of county residents who attended Tuesday’s Knock Out Opioid Abuse Town Hall, organized by the Partnership for a Drug-Free New Jersey and the Horizon Foundation for New Jersey. DENNIS TWP. — A group of Cape May County residents engaged in dialogue with experts, who advocated for a diverse and coordinated response to help find solutions to the statewide opioid crisis at a Knock Out Opioid Abuse Town Hall held Thursday morning, sponsored by the Partnership for a Drug-Free New Jersey and the Horizon Foundation for New Jersey. PDFNJ and the PSEG Foundation delivered the Third Grade Contract for a Healthy Life to students at Yantacaw School in Nutley on Tuesday, April 10. From left, John Latka, Senior Vice President of Electric and Gas Operations for PSE&G; Yantacaw School Principal Frank Francia; Maria Spina, Program Officer for the PSEG Foundation; Angelo Valente, Executive Director of PDFNJ; and school nurse Katherine Flannery. MILLBURN – The Partnership for a Drug-Free New Jersey (PDFNJ) will focus on substance use in the workplace next month at its annual Legal Issues of a Drug-Free Workplace Statewide Seminar. MILLBURN – The Partnership for a Drug-Free New Jersey (PDFNJ) has launched a new media campaign highlighting the emotional pain associated with addiction and has received help spreading that message from the advertising community. OLD BRIDGE – The Partnership for a Drug-Free New Jersey (PDFNJ), with critical support from The Horizon Foundation for New Jersey, has once again ensured that thousands of New Jersey parents will be well-equipped to speak with the children about substance use. Jill Horner speaks with Angelo Valente, Executive Director from the Partnership For A Drug-Free New Jersey, about Shout Down Drugs, Middle school PSA, and Knock Out Opioid Abuse Town Hall Series. PDFNJ Executive Director Angelo Valente spoke with CBS 2 – New York about legislation adopted in New Jersey last year limiting initial opioid prescriptions to a five-day supply. PDFNJ Co-Chair Elaine Pozycki and Ex. Dir. Angelo M. Valente discussed the opioid crisis last week on the “Rod Arquette Show” on 105.9 KNRS in Salt Lake City. They discussed legislation adopted last year in New Jersey that requires prescribers to discuss with their patients the addictive nature of opioid painkillers and possible alternatives to opioids before prescribing them. [Last] Wednesday, CBS2’s Ali Bauman had the opportunity to sit down with them [women in recovery] and find out why they’re speaking so openly and freely about their fight with addiction. MILLBURN — New Jersey high school students are invited to share their musical drug prevention messages as part of the 2018 New Jersey Shout Down Drugs music competition, organized by the Partnership for a Drug-Free New Jersey. MILLBURN — Media messages motivate New Jersey residents to take action steps to prevent opioid abuse in their homes and communities, according to a study recently released by the Partnership for a Drug-Free New Jersey (PDFNJ). Hundreds of Middlesex County residents arrived in East Brunswick on Tuesday night to discuss the opioid crisis affecting New Jersey. The expert panel, from left, included Middlesex County Prosecutor Andrew C. Carey; New Jersey State Senator Joseph Vitale (D ¬– Middlesex); Assemblywoman Nancy Pinkin (D – Middlesex); Vanessa Vitolo, outreach coordinator with Victory Bay Recovery Center; Bonnie Nolan, addiction services coordinator for Woodbridge Township; and moderator Bert Baron of 1450 WCTC. On Tuesday night, a town hall meeting in Middlesex County brought residents together to talk and work towards lowering that number to zero. PDFNJ Executive Director Angelo Valente and State Assemblyman Kevin Rooney hand out #KnockOutOpioidAbuse wristbands to fans prior to the Don Bosco versus Bergen Catholic football game Friday night. The statewide single-day initiative will mobilize the prevention and treatment communities, community leaders and concerned citizens to raise awareness of the potential for dependency on prescribed pain medicine and its link to heroin abuse rates in our state. Teams of volunteerswill visit physician and dental offices, as well as homes in local communities, to distribute this vital information. ANDOVER TOWNSHIP -- The opioid epidemic is very real and very much in our own backyards. So what is being done about it? That was the question at the forefront Friday morning at The Center for Prevention and Counseling during the Knock Out Opioid Abuse town hall, a series presented by the Partnership for a Drug-Free New Jersey. HACKETTSTOWN — Dozens of medical professionals gathered at Hackettstown Regional Medical Center on Tuesday to learn what role they can play in stemming the current opioid crisis at the Partnership for a Drug-Free New Jersey’s (PDFNJ) Do No Harm Symposium. Jill Horner speaks with Angelo Valente, Executive Director from the Partnership For a Drug-Free New Jersey, about the Knock Out Opioid Abuse Town Hall Series. 3rd Annual Don't Get Hooked on Drugs Fishing Contest! This special two part broadcast airing on Friday July 21st and repeated on Friday, August 18th, from 9 PM to 10 PM focuses on the critical problem facing America. These shows, part I will air the week of September 19th, part II the week of September 26, 2017 on CUNY TV, airing 8 times during the week. Former Gov. James Florio, left, pictured alongside Partnership for a Drug-Free New Jersey Executive Director Angelo Valente, received the Drugs Don’t Work in NJ! Founder’s Awards for his foresight and vision in establishing Drugs Don’t Work in NJ! to help New Jersey businesses at Wednesday’s annual Legal Issues of a Drug-Free Workplace Statewide Seminar held at Saint Peter’s University. Governor James J. Florio will be presented with the Drugs Don’t Work in NJ! Founder’s Award for his foresight and vision in establishing Drugs Don’t Work in NJ as a resource for the New Jersey business community to be compassionate and competitive. PDFNJ Ex. Dir., Angelo M. Valente appeared on State of Affairs with Steve Adubato to discuss the opioid epidemic, PDFNJ's role in the fight against addiction, and the important collaboration PDFNJ has with Horizon Foundation of New Jersey to combat this crisis. SAYREVILLE, N.J. — More than 6,000 fourth grade students from across New Jersey participated in the Partnership for a Drug-Free New Jersey’s Fourth Grade Folder contest, but just 30 earned their way to the award ceremony held May 3 at the Middlesex County Fire Academy. Jill Horner speaks with Angelo Valente, Executive Director from the Partnership For a Drug-Free New Jersey, about Town Hall Meetings in NJ addressing the opioid epidemic. PENNS GROVE, N.J. - Opioid abuse is tragically a growing issue not only here in the Garden Sate, but across the entire country. In response to this epidemic, the Partnership for a Drug-Free New Jersey organization made its way to Salem County to educate nursing students on the staggering statistics that are growing each year. MILLBURN --- Deciding when and how to talk to your kids about drugs can be a big decision. Thanks to the support of the Horizon Foundation for New Jersey, for the 17th year, the Partnership for a Drug-Free New Jersey (PDFNJ) is able to provide parents information on how and when to have those conversations. MAYS LANDING — Seeking guidance and help from a religious or faith-based leader is common for families and people impacted by addiction. Jill Horner speaks with Angelo Valente, Executive Director from the Partnership for a Drug-Free NJ, about Opioid Abuse Epidemic. Completing a challenge issued to the legislature in his State of the State address last month and continuing his most aggressive, innovative campaign in the nation against drug addiction, Governor Christie signed into law today his life-saving healthcare reform that will guarantee insurance coverage for people to access immediate treatment and to limit initial opioid prescriptions. Robert A. Marino, Chairman, President & CEO of Horizon Blue Cross Blue Shield of New Jersey, and a member of PDFNJ’s Executive Committee, has authored a recent Star-Ledger editorial calling for the need for a comprehensive approach to address New Jersey’s opioid epidemic. (TRENTON) – Legislation sponsored by Assembly Democrats Joseph Lagana, Nancy Pinkin, Valerie Vainieri Huttle, Marlene Caride, Ralph Caputo and Benjie Wimberly enlisting the aid of healthcare providers in discussing the dangers of certain opioid medications prior to issuing a prescription to patients who are minors was signed into law on Monday. Angelo M. Valente accepts his award for prevention from John Servidio, General Manager, NJTV at NJTV's Healthy NJ: New Jersey's Drug Addiction Crisis Everyday Heroes Award Celebration. (TRENTON) – Legislation sponsored by Assembly Democrats Joseph Lagana, Nancy Pinkin, Valerie Vainieri Huttle, Marlene Caride, Ralph Caputo and Benjie Wimberly enlisting the aid of healthcare providers in discussing the dangers of certain opioid medications prior to issuing a prescription to patients who are minors was approved, 77-0, by the full Assembly on Monday. The state’s opioid addiction toll on young people is staggering. Last year 1,587 people died of overdoses. The Governor’s Council on Alcoholism and Drug Abuse reported some 4,200 people under the age of 25 were admitted to substance abuse treatment programs in 2012. Mark Vitale, President of the New Jersey Dental Association (NJDA) and Angelo Valente, Executive Director, PDFNJ attend the Do No Harm symposium at Monmouth Medical Center to educate members of the dental community on the heroin and prescription drug abuse epidemic in New Jersey and develop solutions to stem the public health crisis. Throughout New Jersey thousands of moms, dads, prevention and treatment professionals, students and concerned citizens are taking to the streets to raise awareness about the opiate abuse epidemic impacting our state. ...an investigation by STAT has found that Purdue Pharma, the manufacturer of OxyContin, thwarted the state’s plan by paying a middleman, known as a pharmacy benefits manager, to prevent insurers from limiting prescriptions of the drug. PATERSON – Senator Raymond J. Lesniak (D-20), today, unveiled his plan to introduce legislation that is geared at reducing the number of New Jersey residents who become dependent on a prescribed opiate, at a press conference at Eva’s Village, Paterson. MILLVILLE, N.J. – 2,000 volunteers across the state joined together on Thursday in hopes of knocking out the growing epidemic of opiate abuse. In Millville, the community and local police partnered with Drug-Free New Jersey to participate in Knock Out Opiate Abuse Day. Dr. Balzani and Kathy Balzani, volunteers for Knock Out Opiate Abuse Day, along with Angelo Valente, Ex. Director of PDFNJ, present information on safe prescribing as part of Knock Out Opiate Abuse Day to Dr Robert Kayal, MD/FAAOS and Leon Colao of Kayal Orthopedic Center in Glen Rock, NJ. An AMCC Medicine Dropbox was brought to the East Orange, New Jersey, community with the concerted efforts of Alexis Lobaina as her Girl Scouts Gold Award project. From left to right is Sgt. Yasmine Johnson, East Orange Police Dept. Community Relations; Alexis Lobaina; Chief Phyllis L. Bindi; and Joel Torres, ADAPT Senior Coordinator. Middlesex County Prosecutor Andrew C. Carey welcomed attendees to the Faith based Do No Harm Symposium held at the First Presbyterian Church of Woodbridge. The Partnership for a Drug-Free New Jersey’s Do No Harm Symposium was geared for faith-based leaders who want to learn more about the opiate epidemic and how they can help prevent the spread and help support families of the addicted. JERSEY CITY -- A prescription drug abuse and heroin prevention training session was held today at Saint Peter’s University, to educate community stakeholders, local law enforcement, and education officials on the ongoing efforts to educate New Jersey’s youth and young adults about the perils of heroin and prescription drug abuse. At a NJ addiction forum, hosted by Senators Booker and Menendez in cooperation with Partnership for a Drug-Free New Jersey, US Surgeon General Vivek Murthy called doctors and other healthcare providers “the first line of defense in the battle against addiction”. LIVINGSTON -- U.S. Surgeon General Vivek H. Murthy, brought his Turn the Tide tour to New Jersey today, to discuss the current opiate abuse epidemic impacting the state, and discuss action steps physicians can take to stem the tide of the epidemic. The Surgeon General is currently on a national tour designed to educate and mobilize prescribers to take immediate action to end this epidemic. With the leadership of New Jersey’s United States Senators Bob Menendez and Cory Booker, the Partnership for a Drug-Free New Jersey is pleased to invite you to join us as we welcome United States Surgeon General Vivek Murthy to New Jersey for a Forum on Addiction and Healing on August 8, 2016. Joined by Under Secretary for Health at the Department of Veteran’s Affairs, and moderated by the Partnership for a Drug-Free New Jersey, Surgeon General Murthy, Senators Menendez and Booker, will address New Jersey’s Heroin and Opioid Abuse Crisis at this forum. Partnership for a Drug Free New Jersey’s representative, Chris Barton, accepts the Mental Health Association in New Jersey’s Spotlight on Excellence in Addiction Services Award from Carolyn Beauchamp, President and CEO of MHANJ, at the organizations recent annual Evening of Excellence Dinner. Over 25,000 3rd grade students received contracts from more than 1100 classrooms, while over 260 schools participated. Congratulations! MILLBURN – As New Jersey battles an opioid abuse epidemic, a Partnership for a Drug-Free New Jersey (PDFNJ) study, released today, found that nearly one in three parents of New Jersey middle school students do not believe there is a link between painkillers prescribed for things like sports injuries and wisdom tooth removal and the rising use of heroin in New Jersey. Physicians from across Hudson County and the state gathered at CarePoint Health's Hoboken University Medical Center on 6/10/16 to discuss what medical professionals can do to curtail this epidemic. Executive Director Angelo M. Valente proudly holds the 1st place award given to PDFNJ. HOBOKEN-- With New Jersey in the grips of an opioid abuse epidemic, physicians from across the county and state gathered at the CarePoint Health’s Hoboken University Medical Center for the Partnership for a Drug-Free New Jersey’s (PDFNJ) Do No Harm Symposium, today, to discuss and develop solutions to stem this public health crisis. With more and more New Jerseyans getting hooked on prescription painkillers and heroin, the Partnership for a Drug Free New Jersey is reaching out to the faith-based community for help. A drug awareness symposium held in Lawrence attracted several Central Jersey religious leaders on Thursday. Sen. Joseph F. Vitale (D-19), Chairman of the Health, Human Services, and Senior Citizens Committee, was the honoree at the Partnership for a Drug-Free New Jersey's Angel of Hope Gala. Steve and Elaine Pozycki, gala chairs, presented Senator Vitale with the Angel of Hope award for his dedication to eliminating substance abuse in New Jersey. These days, it’s not too hard to fill a room full of people when you tell them there’s an event to discuss opioid addiction. That’s because there are fewer and fewer lives that haven’t been touched by the epidemic. “We’re not going to solve this problem in isolation and we know that everyone together is the only way we’re going to be able to work toward solutions that could be very effective in our state,” said Partnership for a Drug-Free New Jersey Executive Director Angelo Valente. Angelo Valente [center], along with Joel Pomales [right] Clinical Outreach Coordinator and Director of Advocacy With College Recovery, will be featured on Fox 5/Good Day Street Talk Saturday, April 2nd at 6am. President Obama and PDFNJ both participated in the National Rx Summit held in Atlanta between March 28th and April 1st. A heroin addiction can start in the most innocent of places, not under a bridge, but in the dentist’s chair or pediatrician’s office. As noted in H&HN’s previous coverage, there is an opioid epidemic raging across the U.S., killing thousands of Americans every day. Often, doctors are prescribing pain pills like oxycodone for sports injuries, kids end up getting hooked, and when the Rx dries up, they turn to street heroin that’s stronger, cheaper and easier to obtain. Before they were shooting heroin, they most likely were popping pills. A new national campaign is being rolled out Thursday to heighten awareness about the danger of opiate-based drug prescriptions, which officials say evolved into heroin abuse for young people. New Jersey is one of the states hardest hit by the heroin-addiction epidemic. On May 5, 2016, the Partnership for a Drug-Free New Jersey will host its 25th Anniversary Angel of Hope Gala at the Pleasantdale Chateau, in West Orange, NJ. Join Elaine and Steve Pozycki, Gala Chairs, as we honor Senator Joseph Vitale for his legislative leadership in addressing the epidemic of opiate abuse. The Partnership for a Drug-Free New Jersey says it holds meetings for doctors called Do No Harm. “What’s amazing is 90 percent of the physicians who attended these symposiums — doctors and dentists — 90 percent of them said they plan to change their prescribing habits,” said Executive Director Angelo Valente. Angela Conover, Director of Media, Marketing & Community Relations Partnership for a Drug-Free New Jersey and Rebecca Alfaro, Deputy Executive Director Governor's Council on Alcoholism and Drug Abuse present a workshop entitled "Engaging Faith Based Leaders in Community Prevention Efforts" at the 26th annual CADCA Leadership Forum in National Harbor, MD. Over 30,000 5th Grade Students participated in this program throughout the state. This initiative is designed to provide information on substance abuse trends and tips to prevent substance abuse to New Jersey parents of 5th grade students. As we begin a new year, an old and all-too familiar problem continues to haunt many individuals and families – New Jersey’s heroin epidemic. Now we get word the drug is becoming increasingly available, this time in pill form. Anti-drug advocates are warning parents about a new dangerous form of marijuana that has made its way to New Jersey. The potent version of the drug goes by many names, including “shatter,” “honey,” or “dab.” It is consumed by either smoking or inhaling with a vaporizer. Experts are warning that Shatter is dangerous, for a variety of reasons. Angelo M. Valente, Executive Director of the Partnership for a Drug-Free New Jersey, said Shatter is five times more potent than regular pot, and it can easily ignite, because it’s made by combining marijuana and butane gas. Twenty years ago, the drug company, Purdue Pharma, introduced a prescription opioid it advertised as safe. It was Oxycontin. Opioid prescriptions given to elementary and high school students have been linked to an increased risk in illegal drug use among young adults, and overdose deaths have reached record highs every year for the last 15 years. There’s mounting support for a bill that would require parents be notified of the dangers of opioids before their kids are dosed. What would happen if everyone in N.J. addicted to heroin and opioids was sent to live in one place? It would be the state's fourth largest city, boasting a population of at least 128,000. CBS 3 Philadelphia: Health officials say nearly two million Americans either abuse or depend upon prescription pain killers. Now some New Jersey lawmakers are calling on doctors to be more responsible. THE SCOURGE of opiate addiction has been well-documented on the pages of The Record, and the too-typical pattern of addiction is well-known to many suburban parents throughout the state. A young person, often a teenager, is introduced to prescription opiate painkillers – either because of an injury or recreationally. The high from these painkillers is swift and addictive, and all too often a downward spiral ensues. Prescriber education, consumer education and advocacy are some of the goals discussed in the lecture. PDFNJ takes great pride in sharing the announcement that was made today by President Barack Obama in the 2015 National Drug Control Strategy recognizing the Partnership for a Drug-Free New Jersey’s Do No Harm symposium series. Ralph LaRossa, center, President and Chief Operating Officer of PSE&G, was presented a Resolution of the Partnership for a Drug-Free New Jersey’s Board of Trustees by Executive Director Angelo Valente, left, on October 28, recognizing the many years of support of Mr. LaRossa and PSE&G to PDFNJ’s statewide substance abuse prevention initiatives. Joining them is John Latka, right, PSE&G Senior Vice President - Electric & Gas Operations, who was elected to the Board of Trustees in May, 2015. MILLBURN, NJ – Hundreds of NJ families spent time together fishing in state rivers, lakes, bays and the Atlantic Ocean along the shore as part of an effort to motivate families to spend time with their children to prevent substance abuse. The Partnership for a Drug-Free New Jersey held the first "Don't Get Hooked on Drugs" Online New Jersey Family Fishing Tournament in August 2015. Trenton: Angelo. M Valente, Executive Director of the Partnership for a Drug-Free New Jersey, and Stephen Trimboli, Esq., of Trimboli & Prusinowski, L.L.C., present a Drug’s Don’t Work in NJ! webinar for members of the New Jersey Business and Industry Association (NJBIA) on Legal Issues of Creating and Maintaining a Drug-Free Workplace Environment. MORRISTOWN – Turning to a faith leader to help address substance abuse addiction in a loved one is often the first step for a family. The Partnership for a Drug-Free New Jersey (PDFNJ) coordinated a free training to provide resources and information to those Faith Based leaders. New Jersey's heroin crisis is likely closer to you than you think. Much has been made of the deadly drug's crawl into suburbia, but it isn't until you take a closer look that this becomes completely clear. Opioid addiction is a fast-growing threat both in New Jersey and across the country, with the toll of lives lost and families left bereft climbing daily. In 2014 alone, for example, there were 600 fatal heroin overdoses. (FREEHOLD) Acting Monmouth County Prosecutor Christopher J. Gramiccioni, Ocean County Prosecutor Joseph D. Coronato, and Ex. Dir of PDFNJ Anglo M. Valente, announced a new partnership with all hospitals in their respective counties at a joint press conference Wednesday morning. Barnabas Health-affiliated hospitals, CentraState Medical Center and Meridian Health-affiliated hospitals have each stepped forward in the fight to stem the tide of the overdose epidemic by agreeing to replenish the overdose antidote naloxone for law enforcement officers free of charge. Gerry was an intricate and beloved member of the Partnership for a Drug-Free New Jersey family and his passion for the issue of substance abuse prevention, knowledge and historical perspective will be sorely missed by all. (NEWARK, NJ) – Over 8,000 fourth grade students from across New Jersey participated in the fifteenth annual Partnership for a Drug-Free New Jersey Design a Fourth Grade Folder Contest. WEST NEW YORK --- NJ leaders want families across the state to get cleaning this Sat., and participate in the first ever Rx Drug Spring Cleaning: Spring Clean Your Medicine Cabinet event. This public health initiative is designed to raise awareness about the dangers of prescription drug abuse, the need to safely dispose of unused, unwanted, and expired medicine, and the over 150 locations across the state that are equipped to accept disposed medicine. NEWARK, NJ –Josiah Valerius, Millie Diaz, Carlos Duran, Hennesis Encarnacion and Janisse Lantigua members of the band Dominant Collective were named the first place winner for their song “The Drug PSA”, in the 11th Annual PDFNJ’s Shout Down Drugs Prevention Concert. The statewide champions are students at Arts High School in Newark, Essex County. steveadubato.org: [VIDEO] Are Physicians Keeping Life-Threatening Information from Patients? Dr. Shuvendu Sen, Associate Program Director, Internal Medicine Residency, Raritan Bay Medical Center agrees there needs to be laws in place in the state of NJ so that physicians are required to reveal the adverse effects and possibility of addiction of prescription opiate medication to their patients. On Wednesday, March 19th, PDFNJ Executive Director, Angelo M. Valente, appeared 1450 WCTC with Bert Baron from 7am - 8am. Valente and Baron discussed the upcoming New Jersey Shouts Down Drugs Substance Abuse Prevention Concert on April 17th at the New Jersey Performing Arts Center in Newark. TRENTON – The majority of NJ residents want the legislature to mandate that their doctor tell them if their prescription medicine is addictive and believe those conversations will reduce the number of individuals who become addicted to pain medications, according to a recent survey effort between Fairleigh Dickinson University’s independent survey research center, PublicMind, and PDFNJ. TRENTON – Senate President Steve Sweeney and Senator Joseph Vitale today presented PDFNJ, with a resolution declaring March 2015 as "Drug Free Awareness Month." The presentation of the Senate resolution, sponsored by Sweeney and Vitale, took place at the organization's headquarters in Millburn, New Jersey. PDFNJ Ex. Dir. Angelo M. Valente will be appearing on MeTV on the show, “Jersey Matters”. Angelo will be talking about substance abuse prevention and PDFNJ’s role in the community. Tune in on Saturday, March 7th at 5pm and Sunday, March 8th at 9am! This show is available on Channel 2 (Philadelphia/Delaware), Channel 3 (New York/New Jersey) on FIOS, Dish, Charter and Blue Ridge. A must-watch video for all parents. Steve Adubato speaks with four mothers who share their personal journeys in dealing with children who tragically battled opiate addiction. Angelo M. Valente recently appeared with Senator Rice on NJ Legislative Black Caucus: From Trenton to you to discuss ways to address the problems of substance abuse in New Jersey. Click "read more" for show times and channels. Over the past two decades, the number of prescriptions for opiate-based painkillers has tripled, while dosages have grown stronger. The prime source for the national explosion of opiate addiction -- whether in the form of painkillers such as OxyContin or in the form of illegal street drugs such as heroin -- is the dramatic increase in the use of opiate-based prescription drugs. Meg Parisi, Abby Boxman, and Donna DeStefano, three mothers who were featured in a video on TalkNowNJ.com, along with PDFNJ Executive Director, Angelo M. Valente, appeared on Caucus: New Jersey with Steve Adubato. TalkNowNJ.com also contains resources for parents on the signs and symptoms of opiate and a quiz to test parents’ knowledge of prescription drug abuse. Angelo M. Valente, Executive Director of the Partnership for a Drug-Free New Jersey testified in favor of Senate Bill, No. 1998 which would strengthen the New Jersey Prescription Drug Monitoring program as well as making it mandatory for physicians and pharmacists. The bill passed unanimously today in a hearing with the Senate Health Committee. To read the full text of the bill, click here. NEWARK – Turning to a faith leader to help address substance abuse addiction in a loved one is often the first step for a family. PDFNJ coordinated a free training to provide resources and information to those Faith Based leaders. The Faith Based Do No Harm Symposium was held on December 4, 2014 at the Newark Museum. The symposium was sponsored by PDFNJ and DEA-New Jersey Division. A symposium addressing the role of faith-based leaders in preventing substance abuse and supporting families in crisis. Join PDFNJ, the DEA-NJ, and HIDTA on 12/4/14 at 8am. Click below to register. PDFNJ Ex. Director, Angelo M. Valente, appears on "One-on-One with Steve Adubato"
MILLBURN - The Partnership for a Drug-Free New Jersey, along with the Drug Enforcement Administration - New Jersey Division will be hosting a webinar on October 22nd at 11:30am to explain The Secure and Responsible Drug Disposal Act. Angelo M. Valente, Executive Director of the Partnership for a Drug-Free New Jersey, appeared on Comcast Newsmakers to promote the release of PDFNJ’s new web resource for parents, TalkNowNJ.com. MILLBURN -- NJ parents want more information when their child is prescribed opioids, according to a PDFNJ report released today. The study, conducted by FDU Public Mind Poll, found more than two-thirds of NJ parents would support a law requiring them to be notified if their child’s prescription contained a potentially addictive medication, such as an opiate or amphetamine. Nearly 9 in 10 parents say they would want to be made aware of alternative medications, if one was available. MIDDLESEX COUNTY — Physicians have to be the first line of defense in stemming the epidemic of heroin and prescription drug abuse sweeping New Jersey and the nation. That was the message given Wednesday by speakers at a symposium at Robert Wood Johnson University Hospital in New Brunswick, the fifth one sponsored statewide this year by the Partnership for a Drug-Free New Jersey. Angelo M. Valente, Executive Director of the Partnership for a Drug-Free New Jersey, appeared with WCBS Afternoon Round-Up host, Wayne Cabot on Saturday, 9/20/14. Valente spoke about the heroin epidemic and the importance of early intervention. Click "READ MORE" to listen to the interview. MILLBURN – New Statewide Survey results released, today, by PDFNJ found that parents see their own home as being a top source for their children to access alcohol and do not see their home as an access point for prescription and over-the-counter drugs – despite the fact that a majority of parents recognize that the abuse of prescription narcotics contributes to the increase in heroin abuse rates in New Jersey. PDFNJ Executive director Angelo M. Valente gave a presentation in Salem County Friday, August 22, 2014 about the dangers of prescription drug abuse in New Jersey. The presentation was attended by over 80 medical professionals. CAPE MAY COURT HOUSE - PDFNJ along with the Cape May County Prosecutor’s Office was recognized by the National Association of Government Communicators for their collaboration on their award winning campaign, “Heroin: Are you talking to your kids yet?”. PDFNJ, in conjunction with the NJ AG, Ocean Prosecutor’s Office, Monmouth Prosecutor’s Office, and Cape May Prosecutor’s Office, was recognized by the National Association for Government Communicators for excellence in collaboration with the campaign, “Heroin: Are you talking with your kids yet?”. The Whiptones — seniors Michael Mastellone, Derek Ritschel and Matt Korzen, and sophomore Bradley Ritschel — won a recent contest sponsored by the Partnership for a Drug-Free New Jersey - and appeared on News 12 NJ August 13, 2014. PDFNJ Board Member Chief Michael Pasterchick, Jr., Middlesex Co. Pros. Office, to appear on One-on-One with Steve Adubato on Friday, 8/15. You can see the program at 7 & 11:30pm on NJTV and 12:30am on WNET. The 2014 Prevention Concert is being aired on Comcast On Demand NOW thru 9/12! Comcast Digital Cable customers can view the program for free. From the On Demand menu select: Get Local/Community Investment/Specials. It is also available on Comcast’s X1 Operating System as well as its local, linear channels through Labor Day (check local listings for schedule). PDFNJ thanks NJSDD sponsor, Comcast/NBCUniversal, for supporting these amazing NJ teens and making this program available for the public to enjoy! By Steve and Elaine Pozycki - The prescription drug abuse epidemic and its related explosion of heroin addiction continue apace in NJ. We read about the human cost in ruined lives and premature deaths in our newspapers every day. As bills are beginning to be introduced in the General Assembly and a policy response to this acknowledged epidemic is forming, now is not the time for half-measures. NJ Senate and Assembly urges all citizens of NJ to participate and inform themselves about opiate abuse by visiting TalkNowNJ.com. Dailyrecord.com: "In 2010, enough prescription painkillers were prescribed in the United States to medicate every adult American, every four hours, for a month," Paul Fishman, U.S. attorney for the District of New Jersey, said Tuesday at Morristown Medical Center. "Think about that. In the year 2000, just 14 years ago, retail pharmacies dispensed 174 million opioid prescriptions, In 2009, 257 million, an increase of almost 50 percent." Heroin and opiate abuse has become a staggering problem in Monmouth and Ocean Co's. NJ is now home to over 10% of the nations heroin addicts, most of whom are between the ages of 17 & 26 years old. It is a problem that affects us all, regardless of social status. These are our neighbors and friends, our kids and their peers, dealing with this in schools and at parties and even in our own homes. NEWARK — NJ has a new set of ambassadors to Shout Down Drugs. Michael Mastellone, Derek Ritschel, Bradley Ritschel, and Matt Korzen, students at Whippany Park High School, known as The Whiptones, are the statewide champions of the 10th Annual PDFNJ's Shout Down Drugs Prevention Concert. Angelo M. Valente, Executive Director of the Partnership for a Drug-Free New Jersey, appeared recently on Good Morning America talking about the dangers of “glow parties”. These parties are aimed at teenagers as young as 16 and are billed as non-alcoholic, but authorities are concerned that MDMA (Molly) use is rampant. Steven J. and Elaine Pozycki were recently honored at the Partnership for a Drug-Free New Jersey Angel of Hope Gala, for which they served as co-chairs. The Pozycki’s of SJP Properties, are also on the Partnership for a Drug-Free New Jersey Board of Trustees. The Partnership for a Drug-Free New Jersey, in conjunction with Actavis, unveiled a Americvan Medicine Chest Rx Drop Box in Secaucus. The box is located in the lobby of the Secaucus Police Department at 1203 Patterson Plank Road. Brick - Angelo M. Valente, Executive Director of the Partnership for a Drug-Free New Jersey and participant in the roundtable discussion, thanked Governor Christie for his leadership and concern on the issue of prescription drug and heroin abuse in New Jersey. “Narcan is a great a tool to help law enforcement and first responders to help save lives, while we continue to focus on prevention education.” Valente urged. PDFNJ Ex. Dir. Angelo Valente discusses the 2014 New Jersey Shout Down Drugs music competition to be held in Newark, NJ on May 21, 2014. Angelo Valente, Ex. Dir. of PDFNJ, says New Jersey has been focused on the issue for years and warns heroin has reached what he calls epidemic levels in the state. This problem exists in all communities, not just urban areas. Over the last six months the partnership for a drug free New Jersey has been installing permanent drop off boxes for prescription drugs. It’s called the American Medicine Chest Challenge and this is the newest box at the Atlantic County Courthouse in Mays Landing. With the support and collaboration of Actavis, PDFNJ – the parent organization of the American Medicine Chest Challenge, recently awarded the Atlantic Co. Sheriff’s Office with a permanent collection box for the disposal of unused, unwanted, and expired medicine, the 79th permanent collection in the state of NJ. The box will be located in the vestibule of the Mays Landing Criminal Court Complex, which is open to the public from 7:30am to 5pm Monday through Friday. The American Medicine Chest Challenge, in conjunction with Actavis, unveiled a brand new permanent prescription drug drop off box in New Providence. Partnership for a Drug-Free New Jersey Executive Director Angelo Valente says parents are recognizing the problem of prescription and over the counter drug abuse and must make sure medicines are locked away and properly disposed of. Angelo Valente, Executive Director of the Partnership for a Drug-Free New Jersey was featured on Geraldo At Large to discuss the heroin abuse epidemic along with Angela Cicchino, a recovering heroin addict. PDFNJ is being honored by The Partnership at Drugfree.org with the 2012-2013 Alliance Achievement Award for its innovative and versatile approach getting its message out. (l-r) Steve Cline, Deputy Director of Field Operations, Partnership at Drugfree.org and Angelo M. Valente, Ex. Dir., PDFNJ. One in six American teenagers have used a Rx drug to get high. Over the period of a month, roughly 7 million Americans use Rx drugs for nonmedical reasons. Drugs are now the No. 1 accidental killer in the United States, with the vast majority of deaths caused by Rx drugs. There is now one death every 24 minutes. If you are a high school student and want to perform in front hundreds join the 2014 New Jersey Shout Down Drugs music competition. Cash contracts awarded to the top three finishers. Emily Brzozowski, Audrey Mannion, and Caroline Savage, 8th grade students at Brielle Elementary School, were selected as statewide winners in PDFNJ’s Annual Middle School PSA Announcement Challenge. They students competed against over 500 of their peers from every part of NJ to create the most creative and powerful substance abuse prevention television commercial script. Angelo Valente appeared on the Caucus: New Jersey panel with Steve Adubato discussing Rx drug abuse and what parents can do about it. Tune in to learn about this epidemic gripping New Jersey and the rest of the country. The Partnership for a Drug Free New Jersey, along with the Drug Enforcement Administration-New Jersey, and the New York/New Jersey HIDTA, will host the Do No Harm Symposium: Keeping it Legal and Safe in the Medical Community, A symposium with New Jersey’s medical community on the epidemic of prescription drug abuse and professional responsibilities and role of the medical community in curbing this epidemic. The event will be held on October 30, 2013 at Hackensack University Medical Center, Hackensack, New Jersey. The event will be held from 8 am until 1 pm. Congressman Frank Pallone, Jr. joined with PDFNJ & community leaders at CVS Pharmacy in So. Plainfield, NJ to announce his legislation, the Medicare Prescription Drug Integrity Act, to address new reports of inappropriate payments for prescriptions of controlled substances in Medicare’s Part D program. Ex. Dir., Angelo Valente, FoxNY Good Day Street Talk (@Fox5GDST) with @bensimmoneau talking substance abuse & important info for parents. The growing trend of heroin use in New Jersey has increased drastically and many of the victims are kids. The Partnership for a Drug Free New Jersey unveiled its Waves of Hope campaign designed to get mental health and substance abuse aid to victims of Hurricane Sandy. The Millburn Police Department, in conjunction with the American Medicine Chest Challenge, introduced a custom designed permanent prescription drug drop-off box at their station on Essex Road in Millburn. Nicole Levine of Essex County is the statewide champion of the Ninth Annual PDFNJ’s Shout Down Drugs Prevention Concert. On Thursday, May 23, thirty-three New Jersey high school student finalists, representing 15 counties, competed at the New Jersey Performing Arts Center (NJPAC) in Newark, New Jersey. Over 8,000 fourth grade students from across New Jersey participated in the Fourteenth Annual Partnership for a Drug Free New Jersey/Verizon New Jersey Design a Fourth Grade Folder Contest. ATLANTIC CITY— PDFNJ and Fairleigh Dickinson University’s PublicMind, today, released the results of their six year study of the effectiveness of drug-testing in the prevention of substance abuse among New Jersey middle school students at the statewide Addiction Conference, Atlantic City. The Partnership for a Drug-Free New Jersey, today, released the finalist list for the 2013 New Jersey Shout Down Drugs Competition(NJSDD), its substance abuse prevention themed music and song writing competition for high school students. PDFNJ is calling on NJ middle school students to write, star and produce a television commercial with a substance abuse prevention message for their peers by entering the 14th Annual Middle School Public Service Announcement Challenge (MSPSA). Supporting Revisions to the Parental Consent Law for Surveying Students. Alcohol use by our children is a significant problem in our state and across the country. As a father of three and the Executive Director of the Partnership for a Drug–Free New Jersey, (PDFNJ) for the past eighteen years, it is startling to realize that 46 percent of New Jersey children in the seventh and eighth grades have experimented with alcohol. On November 10, 2012, a historic and lifesaving event --- The American Medicine Chest Challenge(AMCC) --- a public health initiative to raise awareness about the dangers of prescription drug abuse will be held in communities throughout New Jersey. In 2007, PDFNJ knew, that 70% of people who were abusing Rx drugs were obtaining them from the medicine cabinets of friends and relatives. At that point PDFNJ knew this important statistic had to be shared -- and we dedicated all of our resources to disseminating this important information to all NJ residents. PDFNJ created a simple message with an image of a Grandmother – alerting residents that there may be a "stash" of potentially life threatening substances in their medicine cabinets. US Attorney Paul Fishman, center, launched the Right Prescription for New Jersey today along with, l-r, , Angelo Valente, Executive Director of the Partnership for a Drug-Free New Jersey, DEA-NJ Special Agent-in-Charge Brian Crowell, Christopher Cerf, New Jersey Commissioner of Education, and NJ State Commission of Investigation Chairman, Patrick Hobbs. PDFNJ applauds Gov. Christie and the NJ legislature for their keen understanding of the complex issues of substance abuse and addiction. Through this legislation, which the Gov. spearheaded, thousands of lives will be saved, and thousands of families will have hope in this second chance provided to their children. Angelo Valente, Executive Director of the Partnership for A Drug-Free New Jersey (PDFNJ) is featured on NJTV's NJ Today's Nightly News to discuss the release of PDFNJ.s annual Tracking Study of Parent Attitude and Behavior in Alcohol and Drug Abuse. Angelo M. Valente, Executive Director of the Partnership for a Drug Free New Jersey, visited the Helen L. Beeler Elementary School in Marlton, Burlington County, to recognize the participation of school parent Nicole Weiner, in PDFNJ's Fifth Grade Parent Alert initiative, supported by the Horizon Foundation for New Jersey. Dennis M. Bone, President of Verizon New Jersey, was honored for Verizon New Jersey’s commitment to substance abuse prevention in the State by the Partnership for a Drug-Free New Jersey (PDFNJ) at its 20th Anniversary Angel of Hope Gala. Bone, center, received the Angel of Hope Award at the April 26, 2012 event. He is pictured with, left to right, Steve Pasierb, President, Partnership at DrugFree.Org; Gala Chair John A. Azzarello, PDFNJ Trustee, and partner at Arseneault, Whipple, Fassett & Azzarello, LLP; Tracy Baldwin, Manager, PhRMA; Joseph A. Miele, PDFNJ Chairman; and Angelo M. Valente, PDFNJ Executive Director. A panel with representatives from government, schools, police and nonprofits gathered at Bergen Community College Tuesday to discuss a growing health issue: prescription drug abuse. Forty Americans die each day from overdosing on prescription painkillers, said Angelo Valente, executive director of PDFNJ. One way to prevent these deaths is through education, he said. "Tonight we are doing exactly what we need to do," Valente said. "We are learning about the issue." The 2012 New Jersey Shout Down Drugs music concert is scheduled for May 24, 2012 at the Newark PAC. Angelo Valente sits down with Comcast Newsmakers to discuss the NJSDD competition and more. Washington DC -- The American Medicine Chest Challenge (AMCC), the nation’s largest privately funded public health campaign preventing prescription drug abuse, announced today, the creation of a national online directory of permanent prescription drug collection boxes for the collection of unused, unwanted, and expired medicine. Currently, the directory includes collection sites in 50 states, including New Jersey. New Jersey currently has permanent collection locations in Burlington, Cape May, Cumberland, Essex, Hunterdon, Morris and Ocean counties. PDFNJ is proud to announce that Dennis M. Bone, President of Verizon New Jersey, will be honored at the organization’s Twentieth Anniversary Gala on April 26, 2012, with the Angel of Hope Award. The Partnership for a Drug-Free New Jersey (PDFNJ) and A&E Television Networks, LLC, hosted a live Town Hall Meeting on prescription drug addiction. Left to Right: John L. Hulick, Acting Executive Director, Governor’s Council on Alcoholism and Drug Abuse; Angelo M. Valente, Executive Director, PDFNJ; Diane Litterer, Executive Director, New Jersey Prevention Network; Steve Pasierb, President & CEO, The Partnership at Drugfree.org; and Honorable Lawrence Cooper, Board of Trustee Member, PDFNJ. PDFNJ Executive Director Angelo M. Valente presents the Thomas Edison Leadership Award for Excellence in Public Service to Paul S. Rotella, Esq., President and Chief Executive Officer of the New Jersey Broadcasters Association and Robert Dunphy, Chairman of the New Jersey Broadcasters Association. Angelo M. Valente, Executive Director of the Partnership for a Drug Free New Jersey, visited the Helen L. Beeler Elementary School in Marlton, Burlington County, to recognize the participation of school parent Nicole Weiner, in PDFNJ's Fifth Grade Parent Alert initiative, supported by the Horizon Foundation of New Jersey.